In the year 2000 when I first included a class on television the question I wrestled with was whether to include movies, videos and video games. Some writers started talking about “screen time.” Now even that phrase “Screen time” has much more significance, and yet could have meaning so different than ten years ago. People watch TV shows on a variety of screens, in their cars, on their phone, tablets, laptops, etc. TV is no longer tied to a box in a room in your house. I think this is much truer of the Internet than TV. It is so intertwined with life. It might be like inviting reflection on electricity--a given; it is there part of life. “The central paradox of the machines that have made our lives so much brighter, quicker, longer and healthier is that they cannot teach us how to make the best use of them; the information revolution came without an instruction manual. All the data in the world cannot teach us how to shift through data; images don’t show us how to process images. The only way to do justice to our onscreen lives is by summoning exactly the emotional and moral clarity that can’t be found on any screen.” (“The Joy of Quiet” Pico Iyer, New York Times 12/29/11). Not too long ago it was minority voices, Ellulians and others, who warned of the downsides of large amounts of screen time and increasing use of mobile devices. Those warnings are becoming more widespread, more mainstream, and backed by more studies. And the voices of caution now include people within the tech industry. An article in Time reported that since 2010 rates of teenage depression and suicide have increased dramatically. 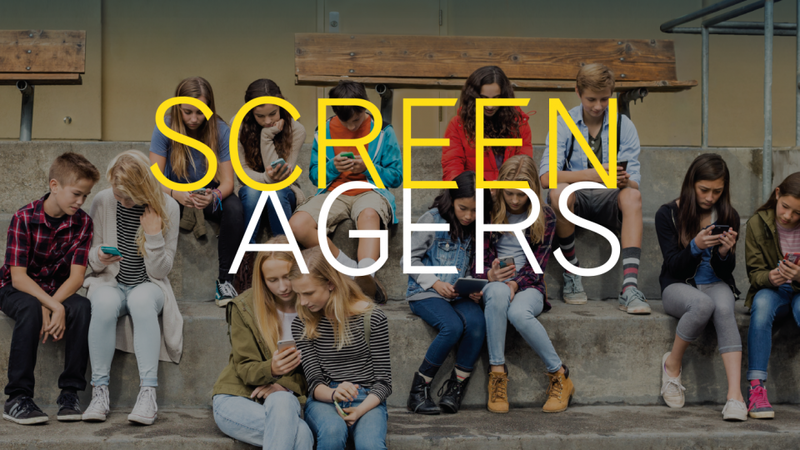 In Dr. Delaney Ruston’s documentary Screenagers, one of the action steps she suggests is for families to have a weekly conversation about technology use. Her family does it on Tuesday. Each week she writes a short blog you can sign up for. She suggests a topic, gives a bit of information from current research on the topic, and provides a few conversation-starter questions. To facilitate conversation, she provides not just critical questions but also ones that invite kids to share positive things about screen time. You can utilize past conversation starters and research from her website.